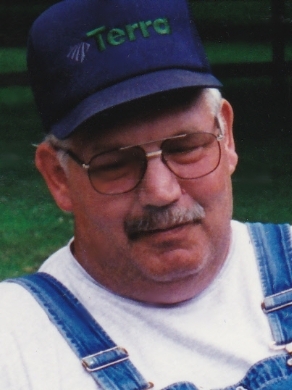 Karl J. Kleman, age 73, of Shelby died Sunday morning October 21, 2018 at OhioHealth Mansfield. Born April 11, 1945 in Putnam County, Ohio to Thomas & Louise (Niese) Kleman, he has been a Shelby resident since 1957. Karl served his country in the Air National Guard for 10 years. He was a lifelong farmer and also worked at the Tuby for 25 years. Karl was a member of the Most Pure Heart of Mary Catholic Church and the American Legion Shelby Post 326. He is survived by his wife Sandra (Morris) Kleman, whom he married June 7, 1985; his mother, Louise and two brothers, Ken & Taffy Kleman and Dave & Sue Kleman all of Shelby. He was preceded in death by his father and sister, Mary Margaret Kleman. A memorial service will be held 11:00 AM Thursday, October 25, 2018 at the Saint Joseph Catholic Church in Plymouth. Father Chris Mileski will officiate. In lieu of flowers memorial expressions may be made to the Richland County Humane Society at 3025 Park Ave W. Ontario, OH 44906.